Baseball is America's favorite pastime and holds many a fan enraptured season after season. 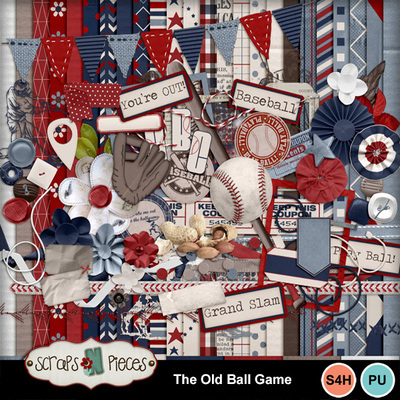 The Old Ball Game is a timeless scrapbooking kit packed full of red, white, and blue to celebrate a love of baseball and Americana in general. 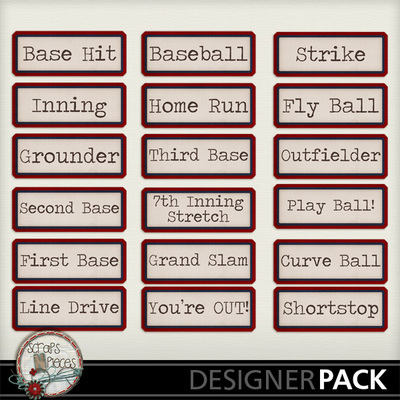 Featured elements include a baseball, a bat, a catcher's mitt, peanuts, ephemera, thematic word art, and a baseball-filled alpha. 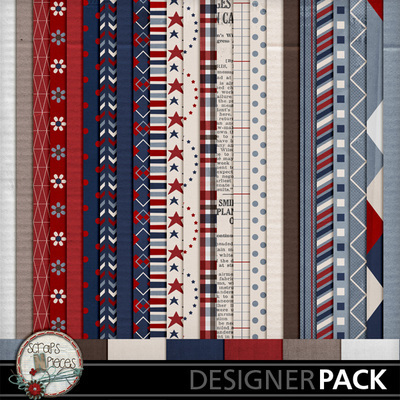 This kit is also versatile enough to be used for the 4th of July or to mix and match with the best of your stash. 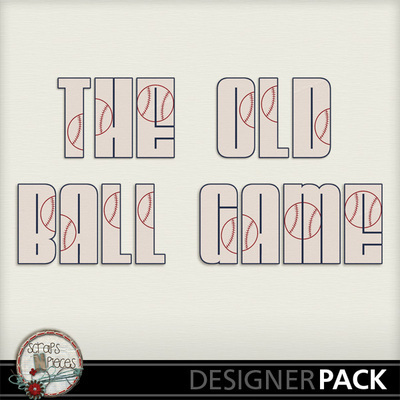 Whether you're going out to the ball game or playing catch in your yard, The Old Ball Game will complement your photos well. Batter up!